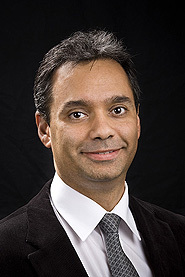 Rohan graduated from the University of Western Australia in 1995 and completed his radiological training in 2003. He then undertook fellowship training in cardiac MRI at Prince Charles Hospital in Queenland before commencing a general MRI fellowship at Perth Radiological Clinic in 2005. He is now a Partner at Perth Radiological Clinic as well as a Consultant Radiologist at Sir Charles Gairdner Hospital. Prevalence of Structural Central Nervous System Abnormalities in Early-Onset Type 1 Diabetes Mellitus: Ho MS, Weller NJ, Ives FJ, Carne CL, Murray K, Vanden Driesen RI, Nguyen TP, Robins PD, Bulsara M, Davis EA, Jones TW. J Pediatr. 2008 Apr 25. Complex Coronary Sinus Fistula in a 58-year-old Female: Blackham RE, Yamen E, Hockings BE, Vanden Driesen RI, Alvarez JM. Heart Lung Circ. 2008 Apr 29. Large bronchogenic cyst: diagnosis and surgical management: Konstantinov IE, Saxena P, vanden Driesen R, Newman MA. Heart Lung Circ. 2008 Apr. 17(2): 146-8. Epub 2007 Mar 8. Bevacizumab reverses need for liver transplantation in hereditary hemorrhagic telangiectasia: Mitchell A, Adams LA, MacQuillan G, Tibballs J, vanden Driesen R, Delriviere L. Liver Transpl. 2008 Feb. 14(2): 210-3. Value of Multislice CT Scan in Redo Cardiac Surgery with Previous Lita Graft: Saxena P, Friedrich L, Driesen RV, Newman MA. Heart Lung Circ. 2007 Jul 10. MR findings in cardiac amyloidosis: vanden Driesen RI, Slaughter RE, Strugnell WE. AJR Am J Roentgenol. 2006 Jun. 186(6): 1682-5.